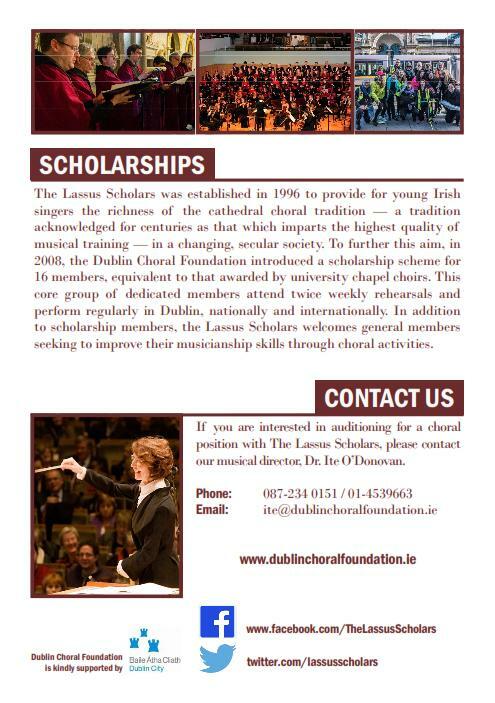 Hoping to improve your sight-singing skills? 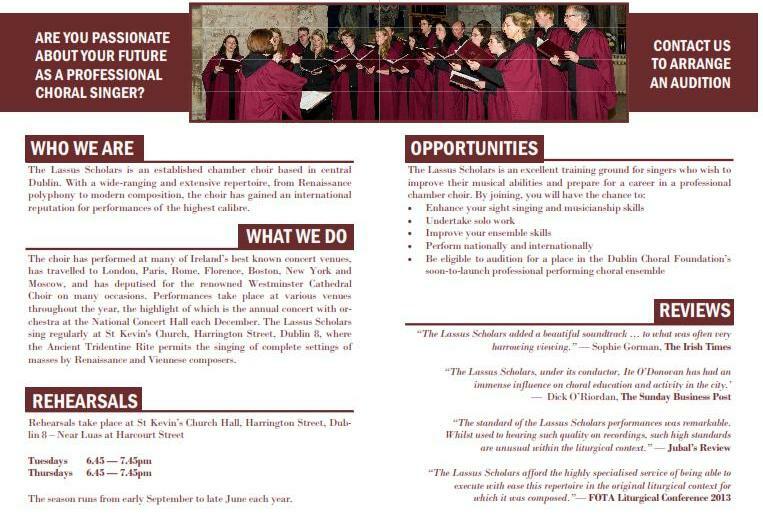 Interested in singing a varied musical programme with excellent fellow-choristers? Looking forward to opportunities for travel? 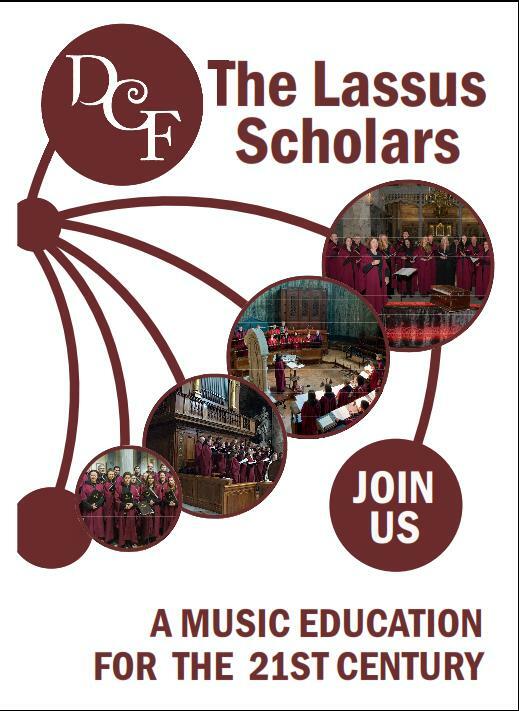 Then the Lassus Scholars is the choir for you! We will soon be auditioning for the new season September 2017 to June 2018. Contact us for further details or send us a message via our Facebook page.